Korea has had a long, great civilization, with four golden ages. Destruction caused by foreign powers has failed to extinguish the Korean spirit for survival. Korea, at least its southern part, is at the threshold of another golden age, despite the handicap of being a divided nation. To understand Korea's present situation, one must look back at many thousands of years of Korean history. The purpose of this study is to look squarely at that history, including the atrocities committed against Koreans by several countries, especially Japan in the periods of 1592-1598 and 1895-1945. Some of the questions addressed in this study are: How did Koreans rebuild their country time after time, following destruction by foreign invaders? How could Koreans, in recent years, rebuild their economy in such a short time? What motivates them? Why is North Korea so different from South Korea? What is the potential of Korea in the twenty-first century? Why do Koreans have such difficulty unifying their country? 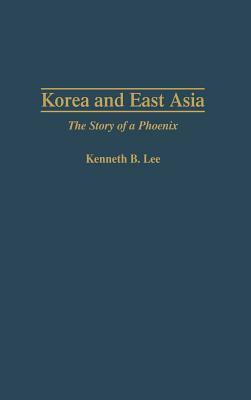 Kenneth B. Lee has held positions as chairman and professor of the Korean Department, Chief Research Division, and dean of the Germanic Language School of the U.S. Defense Language Institute./e Born in southern Korea and raised in northern Korea, he studied at Korea University, New York University and Stanford University, and received his PhD from the University of Southern California. He has also been Professor of East Asian Studies at Chapman University and Program Chief of Korean and Japanese Studies at Monterey Institute of International Studies. He has published widely on Korea.